Pro-Life Law That Could Close Two Abortion Clinics In Arkansas-Good News Friday! Pro-Life Law That Could Close Two Abortion Clinics In Arkansas: We call it Good News Friday because it's a chance for David and Tim to share some good news from across the nation and around the world. In this episode, we talk about an Arkansas Pro-Life Law that could close two abortion clinics, how there is regular prayer in the White House, how Trump signs an executive order to expand employment opportunities for military spouses! And more! Immigration Handled The Biblical Way: It is Foundations of Freedom Thursday, a special day of the week where we get to answer questions from you, the listeners! Tune in today as we answer your questions such as what is a logical and Biblical way of handling immigration? Should we have an opinion on immigration if we have never been through it ourselves? Is the Bible a militant document encouraging martyrdom and is that why the American people went to war? And so much more, right here on WallBuilders Live! College Is Coddling Students And Not Challenging Them: Today, we are talking about the coddling on college campuses and how we can change that to start producing good results! Dr. Everett Piper is with us to talk about how insane it is on some campuses where they are even bringing goats to comfort college students. Tune in now to learn more! Shootings- What Is The Real Reason For The Increase Of Gun Violence? Shootings- What Is The Real Reason For The Increase Of Gun Violence: In today's program syndicated columnist and economist Walter Williams will be with us. People want to blame the increase in violence on guns but what is the true cause of the increase in mass shootings and gun violence? And what can we do to combat this epidemic? Tune in now to find out. 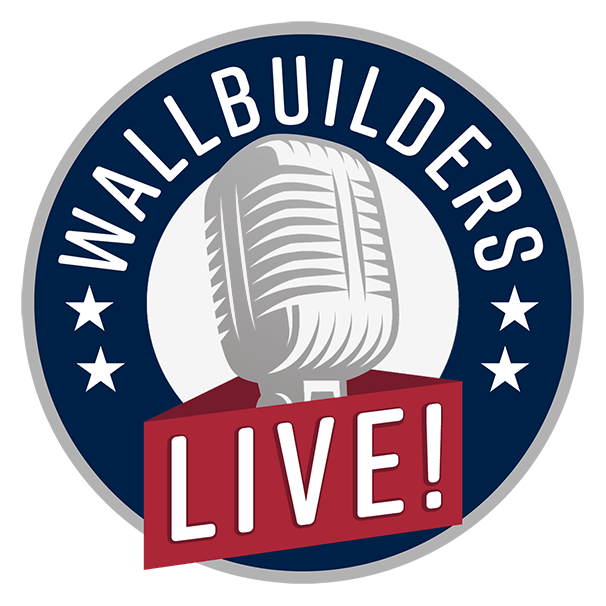 Free Speech And Judicial Elections' Major Win For America: Today, on WallBuilders Live Matt Staver joins us from Liberty Counsel to discuss the fantastic free speech victory that recently took place in a lawsuit the SPLC initiated against Justice Parker. In order to be informed voters, we need to be able to hear what the belief system and values are of our judicial candidates. Join us today to learn more about this great win and its significance! Trump Defunds Planned Parenthood- Good News Friday! Trump Defunds Planned Parenthood- Good News Friday: We call it Good News Friday because it's a chance for David and Tim to share some good news from across the nation and around the world. In this episode, we talk about how the FDA tells scientist to stop making three-parent unborn babies. How Trump defunds Planned Parenthood. How a College revises policies against a conservative student group. And more! Open Carry Or Concealed Carry: It's Foundations of Freedom Thursday, a special day of the week where we get to answer questions from you, the listeners! Tune in today as we answer your questions such as can a county clerk refuse to do something the law says you're supposed to do if it violates religious belief? Is open carry or conceal carry better? And so much more, right here on WallBuilders Live! State Supreme Court Plays A Huge Role In The Direction Of This Nation: In today’s program, Justice Tom Parker is joining us to share about not just his victory in the race, but also about some really important lawsuit victories. Have you wondered, “How important is the state courts and how does it affect the whole nation?” Then this episode is for you! Tune in now to learn more! Revival In America, What Will It Take? Building on the American Heritage Series! Revival In America, What Will It Take? Building on the American Heritage Series: In this episode, you’ll learn about revival in America, how it came about, and what it will take to bring the next one. California Mayor Fights Governor Over Release Of Illegal Alien Criminals: Governor Brown and the legislature in California are ignoring federal law by not enforcing immigration laws even though the Constitution is very clear on this issue. However, there are plenty of people in California that are standing up for what’s right. So what will happen when it comes to the release of illegal alien criminals? Tune in now to find out.